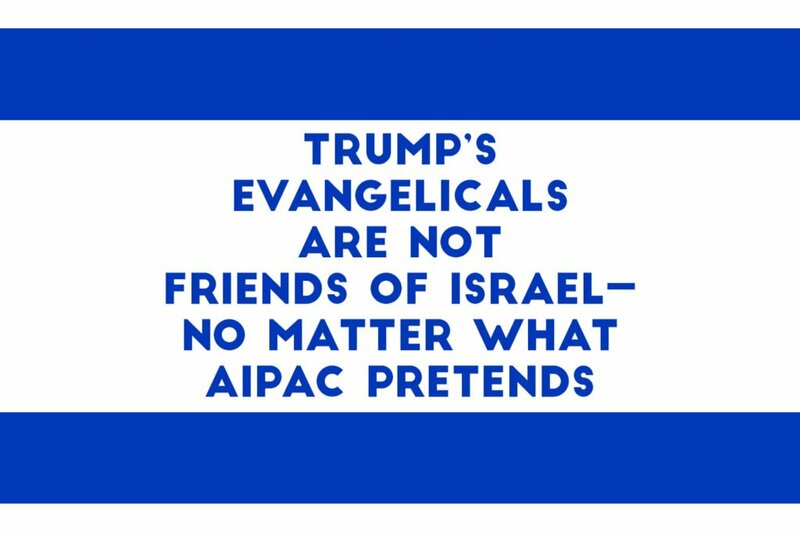 Q: Why does AIPAC work with white nationalist Evangelical Trump bigots who shape Trump’s foreign policy in favor of Israeli hard liners? A: Evangelicals root for Israel because they think the “return” of Christ depends on it’s existence. Their Bible claims the Jews will burn. 18,000 Jews will converge in Washington this week for the conference of the American Israel Public Affairs Committee- AIPAC. The actual agenda is to keep revving up delusional white Evangelical Zionist Trump voters to shape Trump’s foreign policy so Christ comes back soon. Weird huh? Frank: Who are the right friends?